Kannjawou (pronounced Konn-yeh-woo) is the Haitian Creole expression for a wild celebration, a fandango. Set in Haiti's capital Port-Au-Prince in the early 2000s, this novel by acclaimed author Lyonel Trouillot embodies the nation's indomitable spirit through a journal kept by a deeply observant young male college student, depicting a country entering a new era after years of oppression, corruption, and most recently, the shambles left in the wake of foreign occupation. 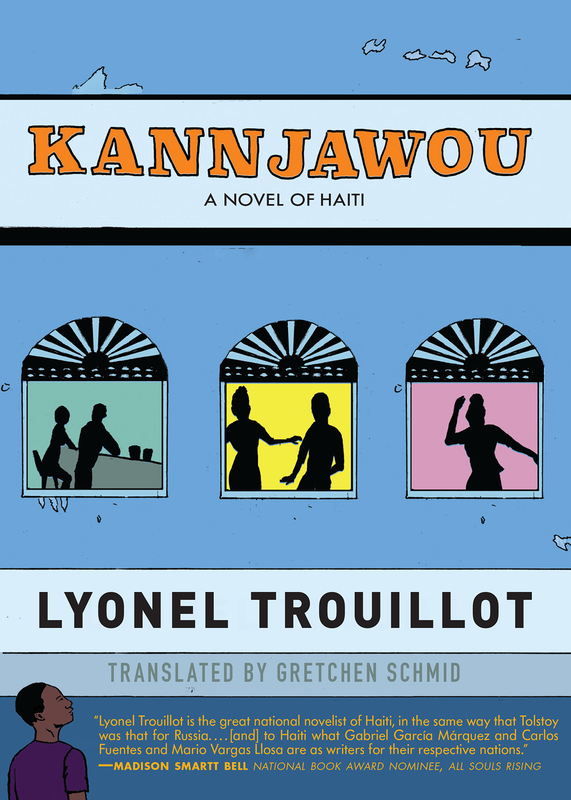 "Lyonel Trouillot is the great national novelist of Haiti, in the same way that Tolstoy was that for Russia. . . . [and] to Haiti what Gabriel García Márquez and Carlos Fuentes and Mario Vargas Llosa are as writers for their respective nat"